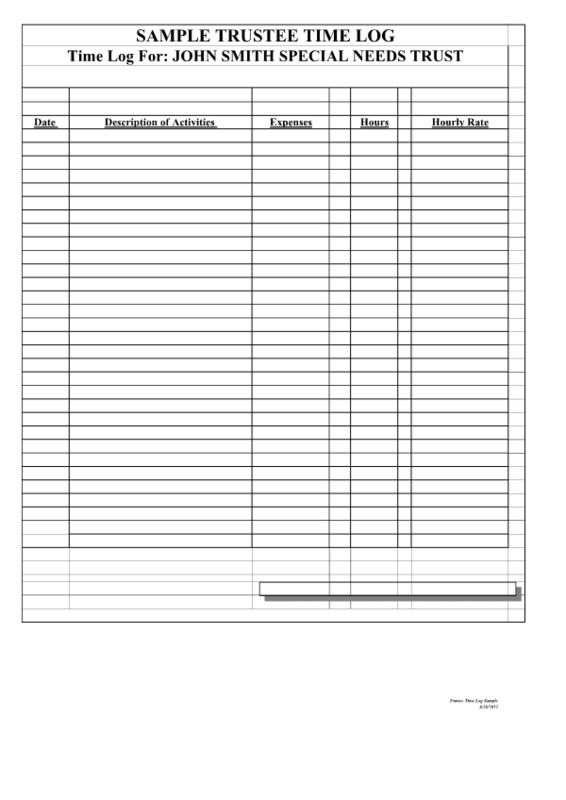 We have available a blank Trustee Time Log and the same form filled in as an example. This illustration will provide you with a general idea of how to complete the form. Fill in the form to the right to download the full size version.